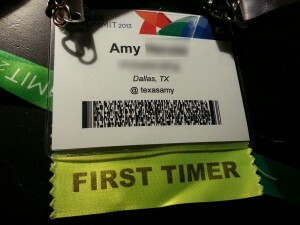 I have now officially submitted to SQL PASS Summit 2015. 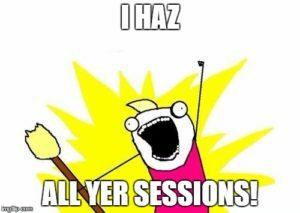 Five sessions. All me (well, and a few others on the panel I submitted). The hard part is over…but how did this all happen? My story starts back in the year 2013. 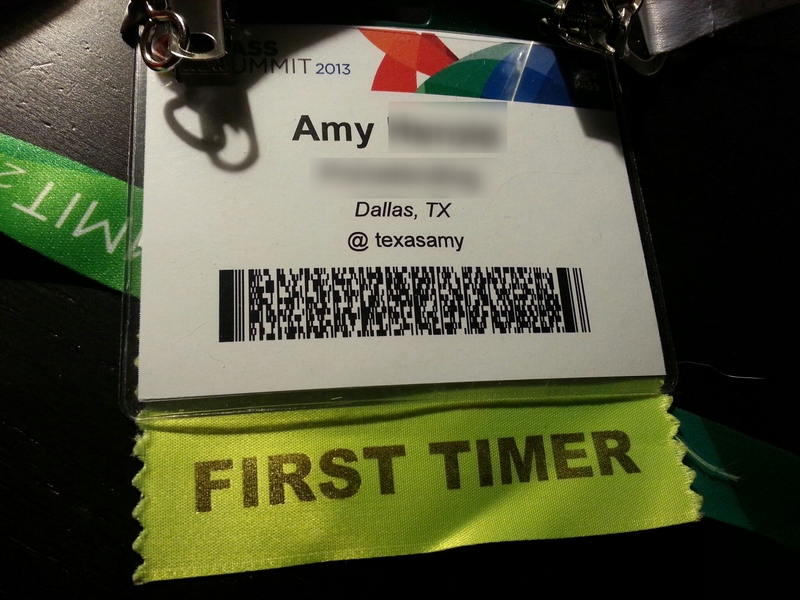 My first time to attend a SQL PASS Summit. It was in Charlotte, NC. I didn’t know these were normally in Seattle. It didn’t really seem to matter too much either. I was a first timer. And they labeled me as such. I didn’t mind. I knew I was a newb. I embraced it. I signed up for and watched the webinar for first timers put on by Denny Cherry. I also got a first timer buddy (aka Someone I can follow around like a puppy until I am comfortable enough and have found other suitable, like minded, people that will welcome me and allow me to accompany them to places that sell beer). Did they need fresh meat? A new crop of willing yet unsuspecting folks to throw their hat in the ring, to hopefully be selected, and dive head first off that cliff into something that might become an obsession that would challenge them in ways they had never thought of before? Maybe. Maybe they did. Maybe it was a little cultish. Well, pass the kool-aid. I came home and gave it some thought. I really wanted to do this but did not know where to start. I felt like I had stuff to say. Stories to tell. Experiences to share. But where to start? I decided I would do a panel. 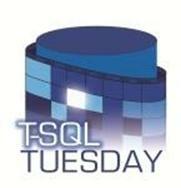 I rounded up some experienced speakers for a particular SQL Saturday, created my session and submitted it. That was the easy part. I then decided we would have weekly internet video chats so that everyone could get acquainted, and I could get their take on how they saw the panel going. They were also able to provide me much needed guidance with my slide deck (something else I had never done before) and how the session needed structure. I took all this in and did my slides accordingly. 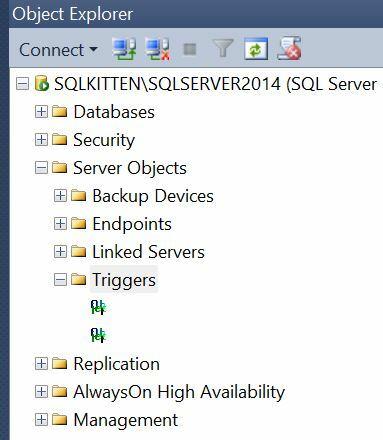 The time finally came for the SQL Saturday event and my panel session. I made the trip out there and met up with everyone. I attended my very first speaker dinner. I could not believe I was there and in the same room with some of the brightest and well known minds in the SQL community. This was it – my first taste of what would consume that entire year. The panel went well. My fellow panelists and other patted me on the back for a job well done. Feedback was good. I was elated. I was hooked. I thought I was ready to handle what was up next – my first solo session. Just me and my slides. 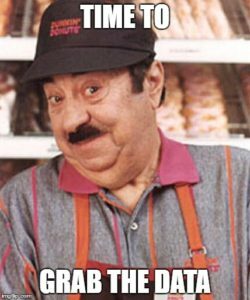 Another SQL Saturday. Another city. Do you have a suggestion for BEGINNERS learning books to get a basic understanding of PS?? Great question! While I have a TON of books on all kinds of things (SQL Server, C#, web dev stuff, etc.) I do not have a single book on Powershell. How did I accomplish all this then? Simple – using this pesky thing we call the internet. I have also attended some great Powershell sessions at SQL Saturday events. Did they leave any beer bottles? Do not criticize the king of soda pop, Dr. Pepper! When will VBScript stop functioning for SQL Server or Windows Server. As in will there be a total switch? VBScript? Hmmmm…great question. No clue. This might be a Microsoft cockroach. Like replication. why we need a PS-Drive – why we can just use an arraay directly? what is her email again? Leave a comment here if you would like to email me and I will get back to you. does the ( $servers | Measure-Object).count syntax do? That counts the number of items in the array. What is the purpose of the New-PSDrive? 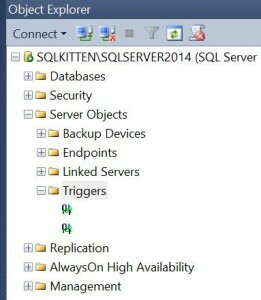 New-PSDrive is a method of connecting to a SQL Server instance. Another method would be to declare a connection with SMO (Server Management Objects). Does it work on windows 2003 as well? I have not tested this against Windows Server 2003.
so, ps-drive is the equivalent of object explorer in SSMS? Well, kinda. Maybe. More the equivalent of browsing a drive in a cmd.exe window. To make the AD changes, I have no clue. Not my area and I also intentionally created the Azure VM so I could make all the changes I needed to without worrying about a silly thing like permissions. As far as reading from AD (which is the main Powershell script for this part) I am not sure about this either but I am assuming you need some level of read permissions (which is all that script is doing). There are some things where I may tend to run something, and if anyone says anything, ask forgiveness later. Security is pretty tight where I am – I have gotten dinged on xp_cmdshell but so far nothing on reading from AD. If for some reason you can’t run anything against AD, I would find the person over that and find out why, and let them know what you are trying to do.